The Trump administration has proposed permits for dangerous large-scale seismic blasting off the Atlantic coast, from Delaware down to Florida. Seismic airguns are a dangerous and destructive method for oil companies to test for the presence of oil and gas under the ocean. But scientists have determined that using these deafening airguns can injure or even kill whales, dolphins and many other species of wildlife. This is another boon to Big Oil that leaves marine wildlife and coastal communities to pay the price — and we must fight back. Tell Secretary of Commerce Wilbur Ross to reject these permits and keep our Atlantic coast off-limits to Big Oil. Tell Secretary of Commerce Wilbur Ross to block dangerous oil and gas exploration off the East Coast. 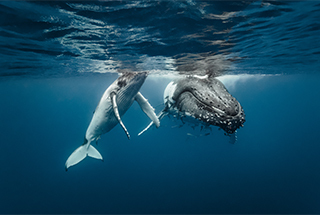 Dear Secretary Ross: I am outraged that the National Marine Fisheries Service may approve seismic exploration off the east coast, allowing the oil and gas industry to harm hundreds of thousands of marine mammals while blasting our oceans for fossil fuels. The impacts of seismic blasting are well known. The massive noise it generates has been shown to silence endangered whales, to drive them from their habitat, and to disrupt their feeding and breeding over vast areas of ocean. Scientists warn that allowing seismic blasting off the east coast could jeopardize the survival of the North Atlantic right whale, one of the world's most endangered whale species, and would have serious impacts on numerous other whale populations off our shores. Even according to the government's own analysis, the oil and gas industry would harm marine mammals more than 13 million times over the next seven years if seismic blasting is allowed to move forward there. In addition, your department did not do a meaningful review of the cumulative impacts to wildlife before it issued the permits, and the permits fail to include effective measures to minimize harm to whales and other marine life. The truth is that the seismic activity you have greenlighted would have an enormous impact on marine mammals and open the floodgates to offshore drilling, putting protected species and our oceans at even more risk. I urge you to deny these proposed permits.